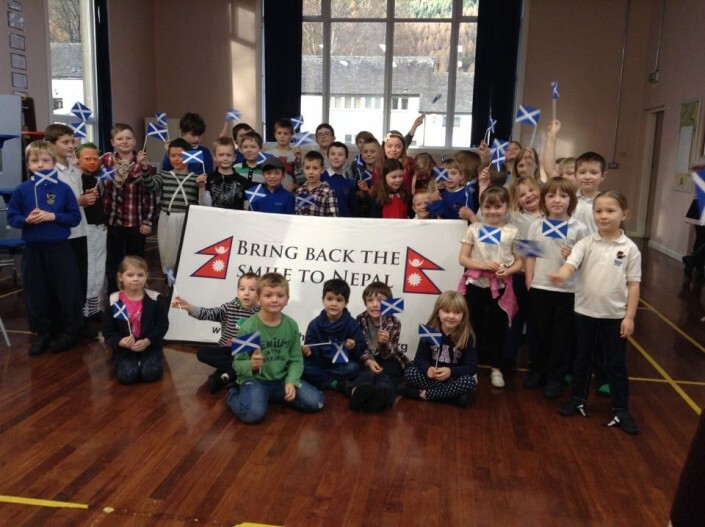 Bring Back The Smile To Nepal, the Perthshire based charity, would like to say a huge thank you to all the children at Kenmore and Grandtully Primary Schools, for all their efforts to help us raise funds for the charity’s ongoing work in Nepal. 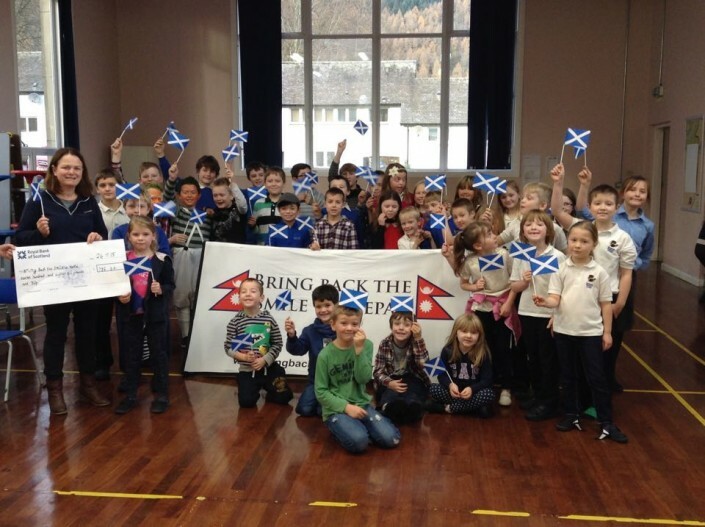 The boys and girls decided to use their annual “Wee Robbie” fun run to raise money through sponsorship. Anna is pictured here receiving the cheque from the children, during a special assembly at Kenmore school.